would appear to be normal in their chemical structure. 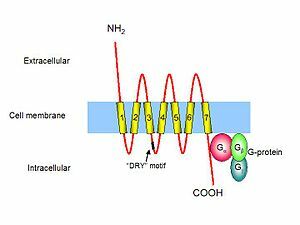 within the network of connectivity of the disease-associated proteins (DAPs). appear normal; their networks of interaction are at fault. might identify novel peptide treatments for regulating inflammation. to uncover shared sequence motifs. chemokines and chemokine receptors play important roles in directing the migration of inflammatory cells into sites of tissue inflammation. the ECL2 loop is outside of the known ligand binding site. indicating their preservation during evolution. 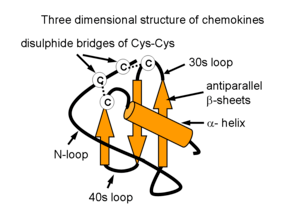 previously known chemokine receptor binding sites have not involved the EC L2 loop. indicating that they were not likely to have evolved by chance. theysynthesized 9-amino acid SSN peptides from the EC L2 loops of three different chemokine receptors. induction of a model of autoimmune arthritis. synergized with non-specific anti-inflammatory treatment with dexamethasone. the SSN peptide motif reported here is likely to have adaptive value in controlling inflammation. detection of SSN motif peptides could provide a network-based approach to immune modulation. the downregulation of inflammation in a rat model of arthritis.